Having followed Mr blogmebeautiful to Cambridge I'm regularly hoping on the train back to the London area to see my other loved ones. 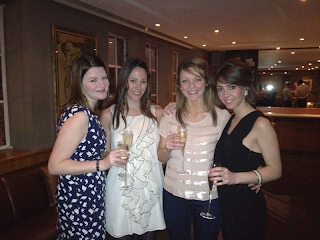 This weekend was no exception as I headed to Chelsea's Bluebird for the celebration of my gorgeous friend's engagement. We always want to look our fabulous best when catching up with our nearest and dearest, but packing all the lotions and potions in our to achieve this doesn't go hand in hand with the size of my weekend bag and the effort of lugging it around on public transport. I have found a helping hand in Aveda's Skincare Starter Kit*, which contains a perfectly sized (40ml) miniatures of their All Sensitive cleanser and moisturizer. The rich and creamy camomile infused cleanser melts away all traces of dirt and makeup and the moisturiser Aloe is fresh treat for the face. Perfect for those sensitive beauties! With 186 days and counting until London 2012 officially kicks off some of our most beautiful Olympic hopefuls and partnered up with leading UK beauty brands to look fabulous on the podium! beautiful and talented, jealous much? Cycling champion Victoria Pendleton is the new face of NEW Pantene Pro-V Smooth & Sleek Range "I am absolutely thrilled to be working with Pantene Pro-V, I have used their products for years. Training outside everyday means the elements can play havoc with my hair, however the Smooth & Sleek range helps fight frizz and keeps my hair looking and feeling the healthiest it's been." I agree Victoria, this affordable brand leaves my hair feeling clean and shiny without residue. Whilst Keri-anne Payne, medal winning open water swimmer is a bonafide beauty junkie "When I'm not training, I love experimenting with make-up and creating different looks. I'm a long time fan of False Lash Effect, as the big lash look makes me feel confident. I love this new gold pack edition, that celebrates it's the most award winning mascara from Max Factor." She is also partnering with the Oral-B Triumph 5000 toothbrush (which is also found in my bathroom cabinet, I just love that you get a smiley face when you complete your recommended 2 mins) "I'm also thrilled to be working with Oral-B. Having a healthy smile adds to my wellbeing and confidence and helps me prepare me for my biggest challenge yet. As a team GB member, I'll be one of the athletes welcoming the world to the UK next summer, so a healthy smile is a must! 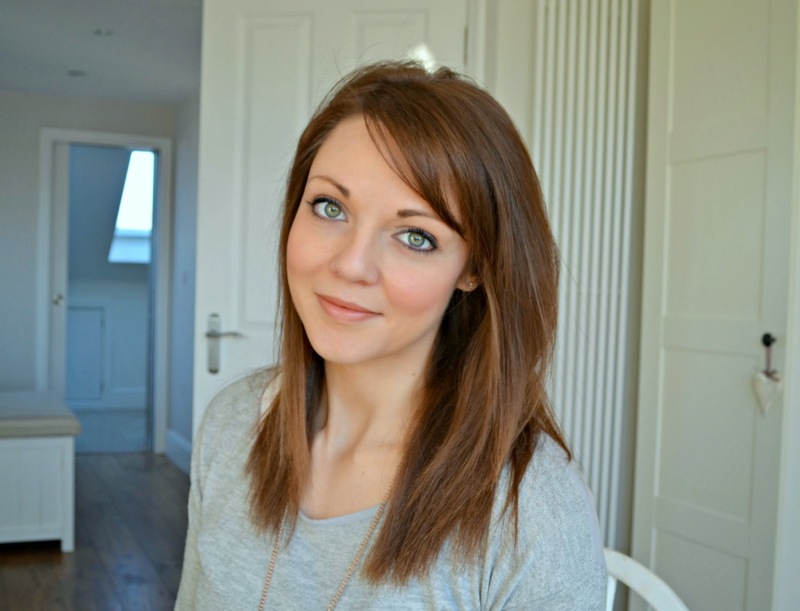 I'm using Oral-B to help make my smile as beautiful and healthy looking as possible." 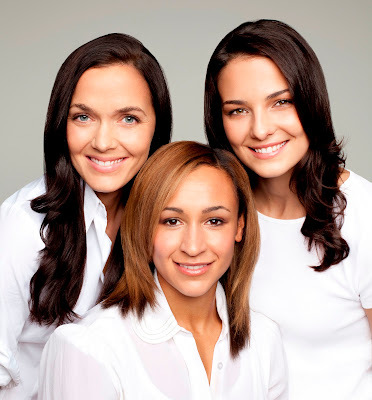 My Olympic girl crush, the stunning Jessica Ennis, world champion heptathlete 2009 is putting her glowing completion to good use as the face of new Olay ESSENTIALS, launching March 2012. "I'm thrilled to be the 'face' of Olay's fabulous new ESSENTIALS range. It takes care of all my skincare needs so that I can focus on my training ahead of my biggest challenge yet - London 2012!" The last few weeks lulled us into a false sense of Winter temperature security and as the mercury dropped over the weekend I was FROZEN as I walked into town for a spot of bargain hunting on Saturday. The section of my skinny-jean clad leg between the bottom of my coat and top of my knee high boot was in agony by the time I hit Starbucks. So after my caffeine recharge and gossip with the lovely Katherine I went searching for something prevent this Baltic experience occurring again. I found the ultimate dream coat in Monsoon. It is literally a duvet. Stuffed with down and feathers it is the closest feeling to being in bed. Bliss. This may conjure up images of Michelin man styling but I think it still looks really feminine with a nipped in waist and super high collar which converts into a hood. So when mr blogmebeautiful took me out for dinner that evening on went the duvet coat and whist he complained about being freezing as we went back into town I was toasty warm and super snug. 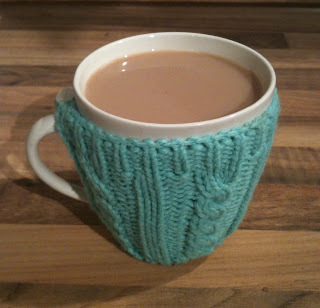 It is so cozy that I'm sad when I have to take it off. This is love. I know this post isn't strictly beauty related, but worth telling you all about, none the less. My Monsoon coat is £120 but if you have bought a previous item from Monsoon recently you may have been given a cheeky 20% discount voucher which I used (and legitermized my purchase with). A red or white version is also available half price in store. During our twenties our skin looks great on the surface; however, underneath the collagen and elastin fibres which give the youthful plumpness and elasticity are beginning to break down. Typically the activities we tend to enjoy in this carefree decade (excessive drinking, smoking, city living and sun exposure), tend to speed up this deterioration of these precious fibres. 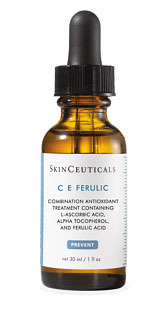 Better late than never I've started using one of the most potent anti-oxidant products on the market: SkinCeuticals CEFerulic Acid which protects against DNA damage and the chemical changes that age the skin from within and it actually stimulates collagen production. The serum is packaged with a pipettes lid so measuring out the 3-4 drops without spillage is easy. I was expecting it to be oily, but the watery consistency results in speedy absorption into the face, neck and décolletage. 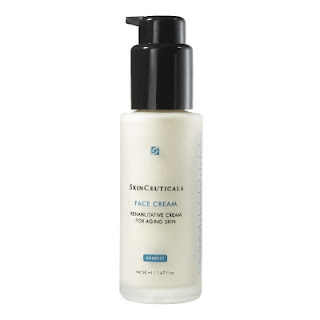 The blurb recommends use only in the morning, which I've been doing for the past fortnight, then following up with SkinCeuticals Face Cream. This feathery light cream sinks in easily and leaves the skin velvety soft. The ingredient list again is bursting with antioxidant goodies and botanicals chosen for their lipid replacing powers which target a dry and aging complexion. I have been enjoying the results, with my skin feeling plump and optimally moisturised without any sticky, oily residue. Proberbly one of the easiest New Years resolutions known to man. However, these gorgeous lovelies that have been brightening up my bathroom and my skin do come with a hefty price-tag with the Face Cream at £120/50ml and the CE Ferulic £129/30ml. So when these press samples come to an end, so may my new regime. What price tag can we put on preventing the signs of aging? Surely prevention will be cheaper and easier than trying to reverse the wrinkles when they set in? So how much do you girlies spend on your skin care regime? As much as I love the rich and regal shades of the festive season I was after a more subtle polish for my engagement party on the Saturday before Christmas to tie in with my (slightly bridal) dress. I'm on the right next to my beautiful bridesmaid to be, Victoria. I discovered Models Own Concrete Mixer on a hunt around Boots and I'm now obsessed, it is the perfect antidote to the jewel colours that have been donning my talons for the past few months. It slides onto your nails a treat and dries super quick. I was popping it on as I was being rushed out the house and on arrival at our venue I found my nails smudge free and fabulous and at £5/14ml you can explore as many shades in their range as you want. Had to have a snap with the rock in. To celebrate the launch of six new Colour Blend Foam shades from nice'n easy, last month I was invited to check them out. It was also an opportunity to meet nice'n easy's new Colour Advisor and celebrity hairdresser Jonathan Long at his Lockonego salon on Chelsea’s King’s Road who demonstrated the products for us. The application looks simple, mix the formula and activator together, shake three times, then squeeze the bottle and the magic foamer cap transforms the fluid into a thick foam. 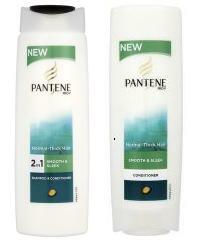 This, you then apply to your dry hair using gloved hands using the motion you would use when applying regular shampoo. As the foam collapses easily, the product sinks into your hair quickly, meaning less fuss and certainly less mess! Make sure when you're finished you wipe away and of the colour from your forehead and ears as this wouldn't give a glamorous end result! Leave on for 25 minutes (during which time I was treated to a Chelsie blow-dry by one of Lockonego's fabulous stylists) then rinse until the water runs clear, then apply the Colour Seal Conditioning Gloss for a few minutes for rinsing again and styling as normal to reveal your new look. 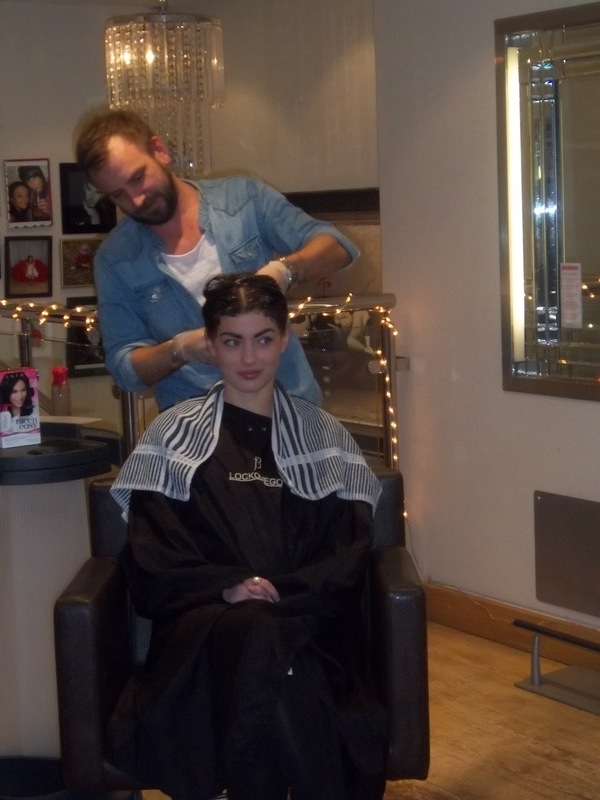 For best results at home, Jonathan suggests only to stray a maximum of three shades from your natural colour, however, our model went even braver and opted for the Blue Black (shade 2BB) which emulated Jessie-J's super-shiny glossy locks.